Good news for owners of the original Samsung Galaxy Note: The Android 4.1 Jelly Bean update is coming your way soon. 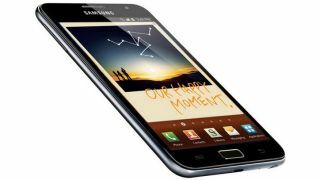 Samsung announced the forthcoming software bump on its Galaxy Note microsite as part of a new Premium Suite upgrade. The move to Android 4.1 will bring owners of the pioneering and surprisingly popular 5.3-inch phablet access to features like the Google Now personal assistant and Project butter. However, the company is yet to reveal when the update will drop and, initially, it will only be available to unlocked devices. Beyond Android Jelly Bean there's a host of new features, many of which featured on the Galaxy Note 2, are coming with Samsung's second Premium Suite update for the device. Those additions are undoubtedly headlined by the neat Multi Window feature, which will allow two open apps to be running on the screen at the same time. The Popup window multi-tasking feature for Notes, Video and Browser is also coming to the device, while handwriting will also be enabled within the email app.